Adhesive-back dry sanding paper measures 2-3/4" x 16-1/2". 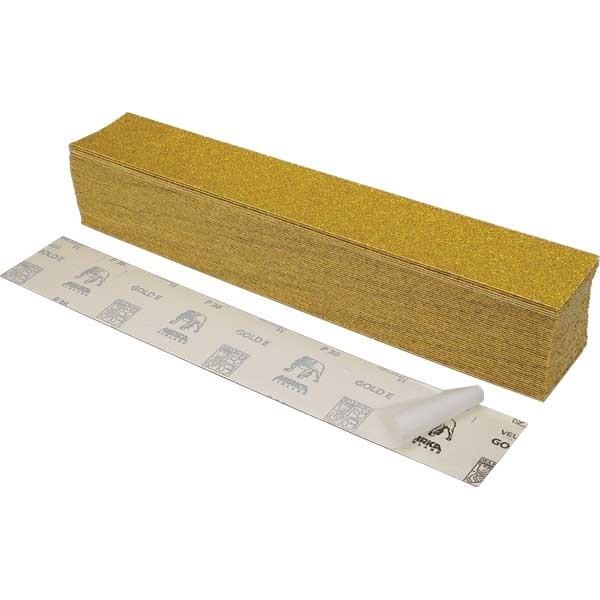 Durable aluminum oxide grain delivers a fast and long-lasting cut. Paper has heavy-duty backing that will outlast most other paper on the market. Special coating is resistant to clogging and loading up.